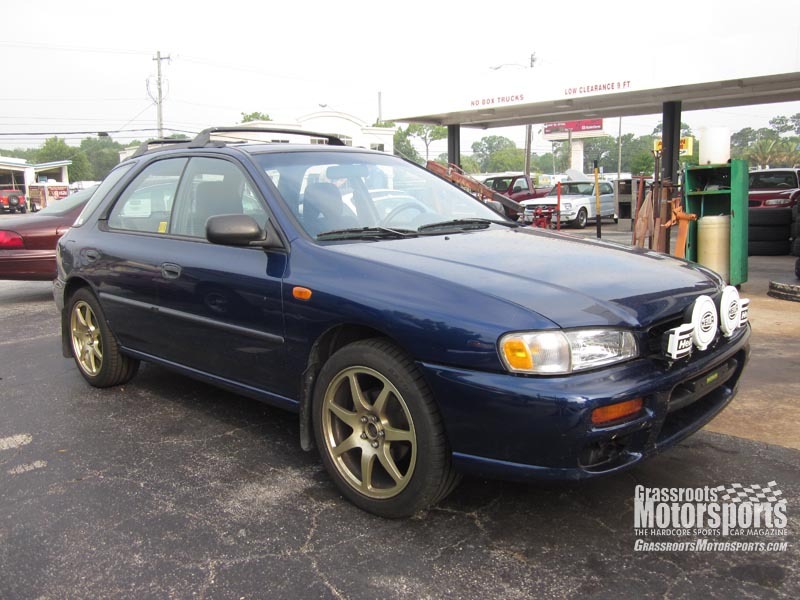 We have some magazines to make this week, so the Impreza is waiting at Orlando & Sons. Quiet times await--once the new gaskets arrive. The more we think about it, the more we’re happy that the car didn’t die in southern Georgia. 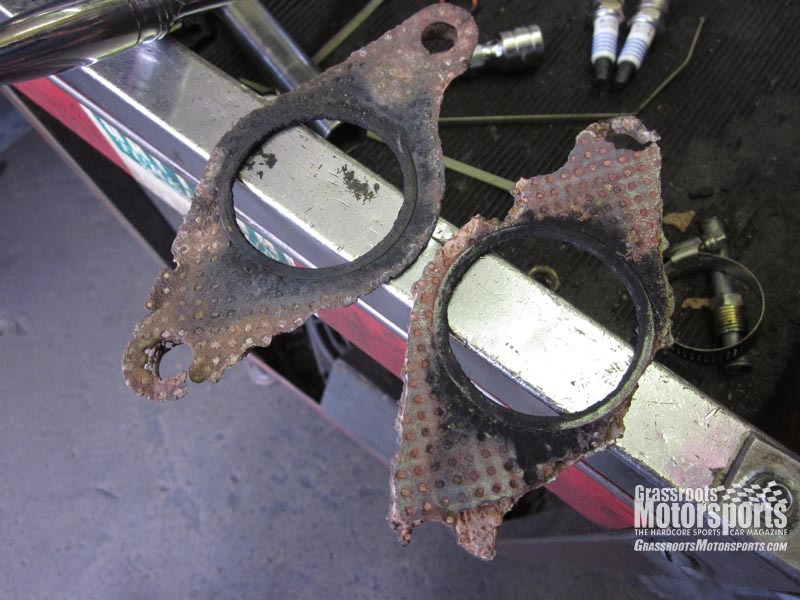 Looks like our Impreza will be out of commission a little longer than expected: Some exhaust gaskets had to be ordered. The new engine mounts are in, the oil has been changed, and the Kartboy Engine Pitch Mount has been fitted. The more we think about it, the more we’re happy that the car didn’t die in southern Georgia. Looking forward to seeing you guys make more progress with this one. 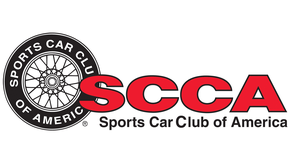 It would be awesome to see the car at the SCCA rallycross on Aug 28, 2011 @ St. Lucie Fairgrounds, so hopefully those gaskets will be in sooner rather than later.